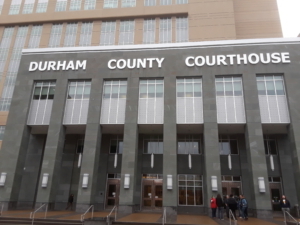 On February 19, three anti-racist activists stood trial for allegedly pulling down a Durham, NC racist Confederate statue on August 14, 2017, two days after the murder of Heather Heyer in Charlottesville, Virginia. 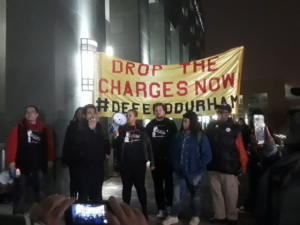 To the excitement and applause of the crowd gathered for their support, one by one each of the three defendants, Dante Strobino, Raul Jimenez and Peter Gilbert, beat the serious charges brought by the state including defacing a public monument, destruction of real property and conspiracy to deface a public monument. The cases of Strobino and Gilbert were dismissed and Jimenez was found innocent on all counts. Originally all eight of the anti-racist activists who are being targeted by the state were going to stand trial as a group but the court, under Judge Fred S. Battaglia who is up for re-election, decided to try them all separately. Surely now more confident with these three victories under their belt, the remaining five defendants now must wait until April for their day in court. These include Takiyah Thompson of Workers World Party, Elena Everett, Jessica Jude, Joe Karlick of the Party for Socialism and Liberation and Qasima Wideman. Defense attorney Scott Holmes began his opening argument by explaining that Confederate statues are actually a disturbance to the people of Durham and violate protections in the federal Constitution under the 13th and 14th amendments. 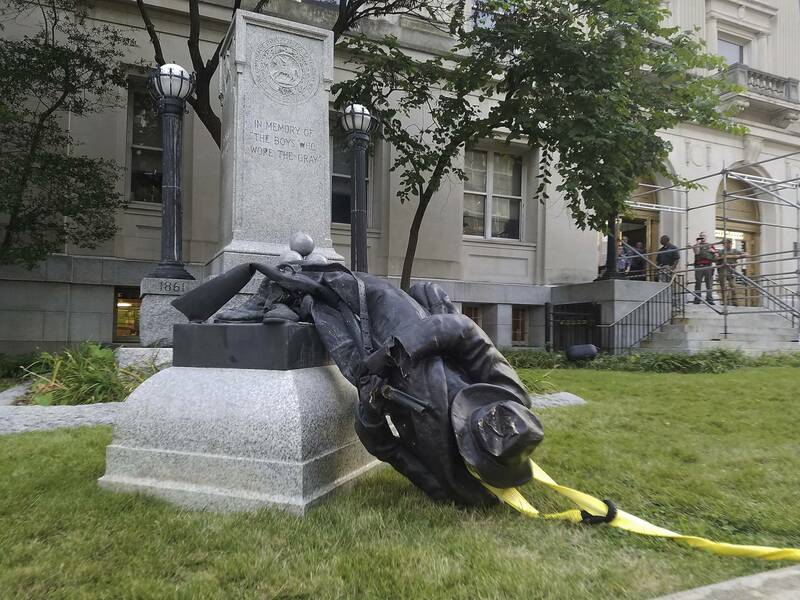 Therefore, he asserted, the people who allegedly pulled down the statue were doing a public service. Holmes said the Constitution prevents hate speech, that “the 13th amendment prevents the badges and symbols of human enslavement… 14th guarantees equal protection under the law and this statue which is an endorsement of the Confederacy violates that every day for all the people who must walk past it at the door step of the court house.” The judge was in no mood for a prolonged political statement and pushed Holmes to end his opening. 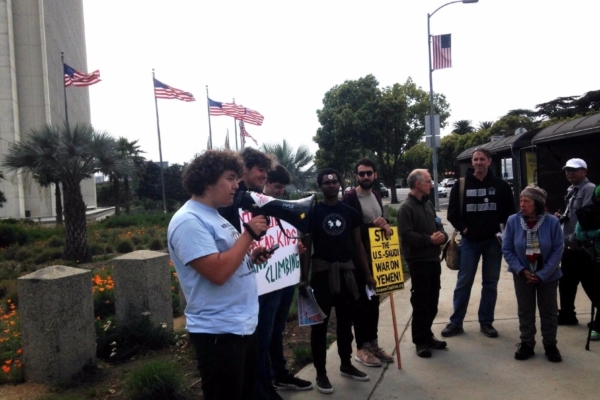 The lawyer with the district attorney’s office opened with a campaign to defame the activists as malicious criminals saying the evidence would show that this was not spontaneous but “well organized destruction” and that they would show that there was a “plot to destroy the monument.” The DA’s office asked the judge to remain impartial in his ruling which he alone would give in the absence of a jury, in other words to simply rule on the question as to whether or not the defendants pulled down the statue or helped plan to pull it down. However there was no escaping the politically charged environment created by a crowd of overwhelmingly progressive anti-racists and socialists and the “crime” itself which was a political act. It was also rumored that there were a few fascists in the audience who left early in the day. The courtroom was very tense; the deputy sheriff bailiffs, at times as many as eight, patrolled in the room and repeatedly threatened the audience for speaking and confiscated several cell phones. 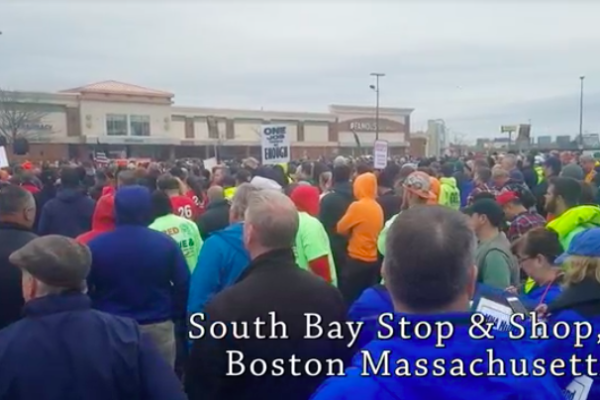 The judge also warned the crowd that any outbursts would cause him to find people in contempt of the court and subject to up to 30 days in jail. The DA’s office repeatedly used the same four witnesses in the three trials including a woman, Stacy Marcy, from Durham who witnessed the protest when the statue was was taken down; a security manager with the county who previously worked in Tucson, Arizona for Raytheon the murderous weapons manufacturing company; and two sheriff’s officers, one of whom served as a plain clothes undercover officer during the protests. Stacy Marcy of Durham took to the stand and answered the DA’s questions regarding the events of the day which she and her son left their car to witness. Then under Holmes’ cross examination, to the dismay of the prosecution, she stated that her reasons for watching the protest was because of the Charlottesville events where “KKK and white supremacists showed up and authorities did nothing to suppress them and an innocent person [Heather Heyer] expressing freedom of speech [was] killed.” It was Marcy who captured video of the protest which quickly went viral and was picked up first by the AP. In her testimony under cross examination, she called the statue offensive. The prosecution used the security and law enforcement testimony to try to prove that the defendants were the ones who pulled down the statue. They gave video and photo evidence that they took during their investigations. Scott Holmes also compared these anti-racist activists with civil rights activists of the 1960s who led sit-ins in violation of segregation laws who were later exonerated as well as to those who violated the Fugitive slave Act. He also noted that the statue also violated two North Carolina statutes which prevent the use of public buildings for promoting subversive movements against the government and therefore that the statue again was itself a violation of the law and pulling it down was a service to the community. 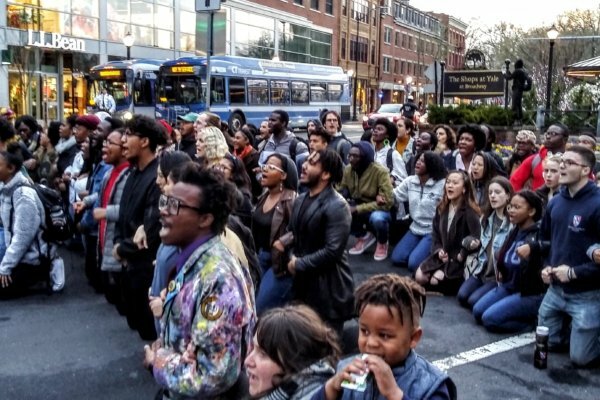 In the end it was apparent that what really sealed the victory of the defendants seemed to be the lack of credible evidence linking their identities to be those who pulled down the statue at the protest although the political arguments could not be ignored. 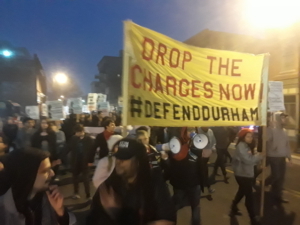 In the evening a mass march went through the streets of Durham in support of the anti-racist defendants ending at the courthouse to celebrate the day’s three victories. Chanting “No Trump no KKK no fascist USA,” “Stand up fight back” and other anti-racist slogans, the march went past the Durham County Jail were you could easly see crowds of inmates in orange uniforms watching. The marchers continuously expressed solidarity with the prisoners. Also to speak to the crowd was Muffin from from All Of Us Or None who also does defense support with the organization Spirit House. She called for reparations and the end to the money bail system which disproportionately affects people of color and poor people. Other supporting organizations included the National Lawyers Guild, the Philly Real Justice coalition which is organizing to take down a statue of the racist Frank Rizzo, Campus Workers United UE 150 of Chapel Hill who called for racial justice and workers’ justice and were sponsoring a rally later in the week against fascism at University of North Carolina at Chapel Hill. Cortney from BYP 100 said that they were so proud and that people have a moral imperative to fight white supremacy. Tayvon with the Youth Organizing Project told the crowd that we can’t rely on the the politicians to make the right decisions; instead “We have to do it for them.” Ray with the Inside Outside Alliance read a letter from an inmate in the Durham County jail who spoke of the injustices inside the jail house.